This material consists primarily of collagen, which is absorbed by the body. 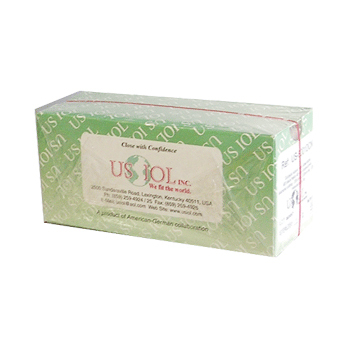 The material is chemically purified to minimize tissue reaction. Chromic Gut is the same as Plain Gut except that it is treated with chromium salts to delay the absorbtion time. A synthetic absorbable suture that ensures closure through the critical wound healing period. These sutures retain approximately 50% of their initial strength at two weeks and 20% of their strength at three weeks. These sutures are essentially absorbed between 42 and 63 days. Available as undyed or violet braided and violet monofilament. Polyglactin 910 coated with polyglactin 370, creating a smoother surface, decreasing tissue drag. High tensile strength with mild tissue reactivity. 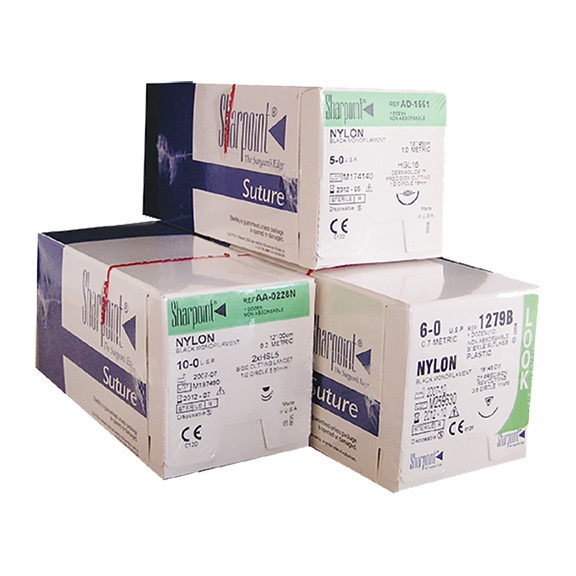 This polyamide suture offers a high tensile strength with minimal tissue reaction. Nylon has been reported to lose tensile strength post-operatively at a rate of approximately 15% per year. Braided silk sutures have excellent tying characteristics. Modern braiding techniques provide a uniform smooth surface and greater tensile strength. 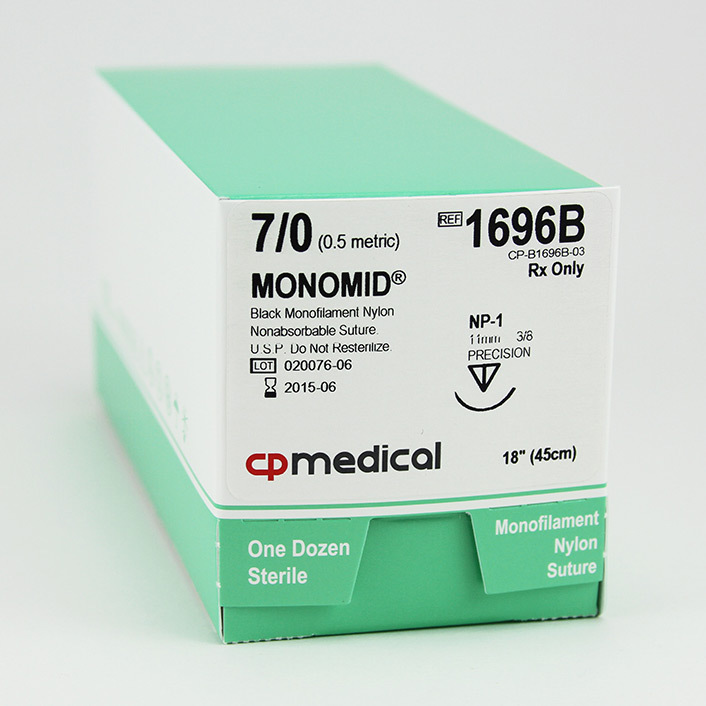 A polypropylene suture is a monofilament suture (blue) with high tensile strength and minimal tissue reaction. The material is not degraded or weakened by tissue enzymes. A mersilene suture is an essentially permanent suture with minimal tissue reactivity. The suture has a very high tensile strength.